AAP leader HS Phoolka has been helping victim families for over 30 years, free of cost. Senior lawyer HS Phoolka got emotional after senior Congress leader Sajjan Kumar was convicted in the 1984 anti-Sikh riots today. The Aam Aadmi Party (AAP) leader from Punjab has been representing victims of the anti-Sikh riots in courts for the last three decades, free of charge. "It's a huge victory. This moment has come after 34 years. We are very happy," he said as he fought back tears. Sajjan Kumar has been convicted for the murder of five members of a family in Delhi's Raj Nagar and the torching of a gurdwara on November 1, 1984. He will spend the "remainder of his natural life" in prison, said the court, which cancelled an earlier court ordering his acquittal in the case. He has been told to surrender by December 31. Last year, after the Delhi Bar Council stopped him from appearing in the 1984 anti-Sikh riots cases against Sajjan Kumar and others, saying he enjoyed an office of profit, Mr Phoolka quit as leader of opposition in the Punjab assembly to continue his fight for justice. Union minister Hardeep Singh Puri acknowledged Mr Phoolka's "selfless and tireless" service in a tweet. 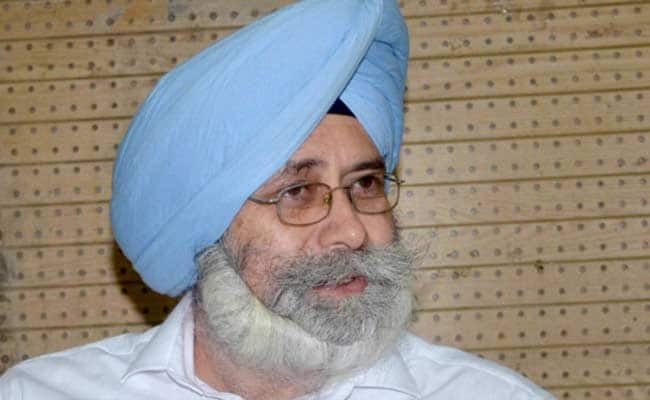 HS Phoolka has accused the Congress of elevating and promoting its leaders allegedly involved in the carnage "when they should be punishing them". "It has been clearly mentioned (in the verdict) that political benefits were provided (to the accused)," Mr Phoolka said after the verdict against Sajjan Kumar. The senior AAP leader also claimed there was "strong" evidence of Congress leader Kamal Nath's involvement in the anti-Sikh riots and said the wheel of justice was yet to turn against him. Kamal Nath was sworn in as the chief minister of Madhya Pradesh today in a ceremony attended by top opposition leaders. "There's ample amount of evidence against Kamal Nath and the wheel of justice is yet to turn against him," Mr Phoolka told news agency PTI.